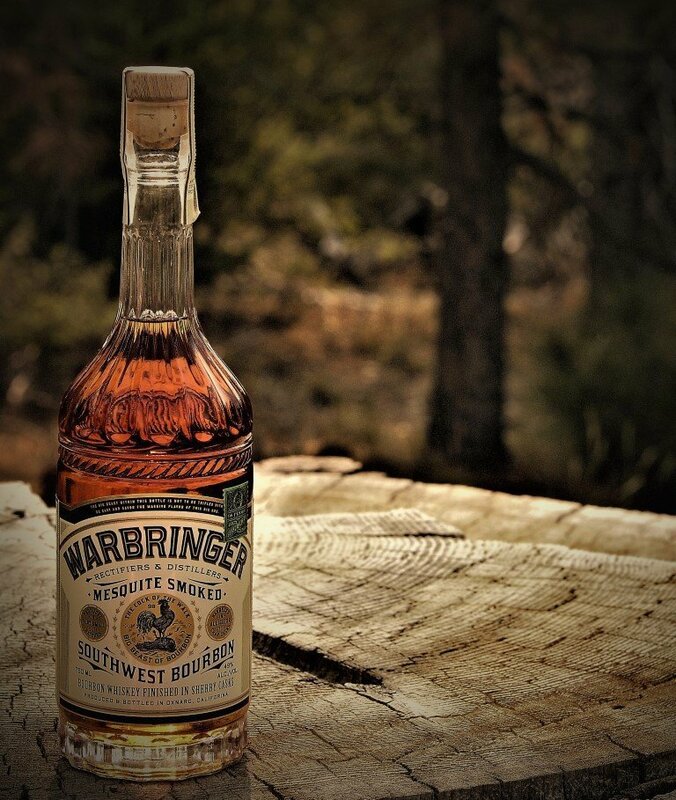 Warbringer is a heavily smoked bourbon, using mesquite to smoke the corn that goes into the mash (alongside malted rye). The bourbon is aged (for an unstated length of time) through Sespe’s precisely controlled process, but the distillery stresses that this whiskey gets most of its flavor during distillation, making a lengthy aging process unnecessary. With that said, the whiskey is finished in former sherry barrels, again for an unstated length of time. And wow, what a product this is. I’ve encountered mesquite-smoked American whiskies such as Colkegan American Single Malt, but that did nothing to prepare me for the experience of drinking Warbringer. The smokiness is simply unparalleled to the point where I was sure I could see it wafting out of the newly opened bottle. Overwhelming mesquite notes are clear — this is not “peaty” at all, it’s a completely different type of smoke character — with a slightly sweet and distinctly southwestern bent to it. The smoke drowns out everything else on the nose, but when you tuck into the whiskey proper, you find quite a bit more going on. On the palate, the smoke is less overwhelming that you’d think, with notes of peaches, sweet corn, and a mix of spices all emerging on the tongue. The whiskey is a bit sweaty at times, which vaguely reminded me of Islay’s iodine and brine notes, but the resemblance ends there. On the finish, the smoke comes back for a knockout punch, lingering interminably on the palate and unfortunately getting a bit ashy at times. As much as I enjoy many smoky whiskeys, I simply found Warbringer too overwhelming for my tastes. While other drinkers’ mileage will surely vary, even if you’re a thrill-seeker, make sure you know what you’re getting into.